H.Res. 6 amended the Standing Rules of the House to add several Democratic priorities. The “pay-as-you-go” rule, or “PAYGO,” creates a point of order requiring that any bill that would change direct spending, also known as mandatory spending, or revenues do not result in a net increase of the budget deficit. Although this may sound reasonable, the PAYGO rule is mostly for show. When Democrats took over the House in January 2007, they implemented the PAYGO rule. But the rule didn’t stop the budget deficit from skyrocketing by nearly $4.5 trillion during the four fiscal years over which Democrats had control over the budget and appropriations. Finally, the rule doesn’t apply to discretionary spending. Some may say that this is acceptable because Congress established spending caps to govern discretionary spending. Those spending caps, however, have been busted four times, most recently in February 2018, with the passage of the Bipartisan Budget Act, H.R. 1892. 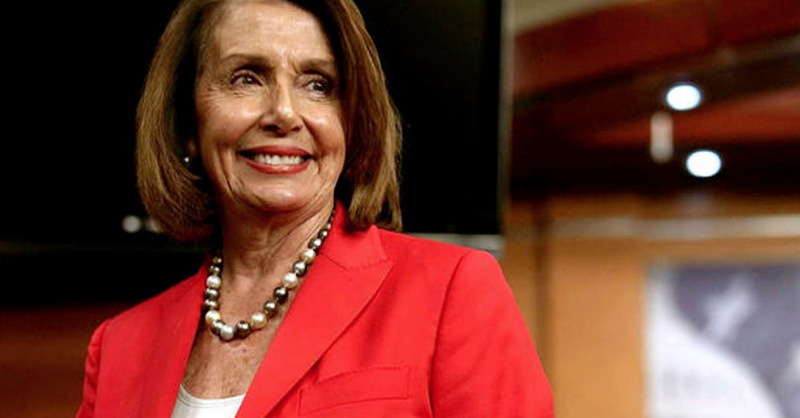 House Democrats are already preparing a budget that will bust the spending caps yet again. Republicans created a similar rule when they took control of the House in January 2011 in their rules package for the 112th Congress, calling it the “cut-as-you-go” rule, or “Cut-Go.” Again, it applied only to mandatory spending and didn’t apply to revenues. Again, the rule was ineffective. House Republicans had to contend with a Democratic majority in the Senate until January 2015, but the budget deficit grew by more than $4.7 trillion through the end of FY 2018. There’s also another mechanism in place that has proven largely ineffective. In 2010, Congress passed H.J.Res. 45. The resolution increased the debt limit but also included a separate title, the Statutory Pay-As-You-Go Act. The law requires the White House Office of Management and Budget (OMB) to provide two scorecards with the budgetary impact of legislation to which PAYGO applies. One scorecard measures the 5-year impact, and the other measures the 10-year impact. It also included 11 exemptions, such as Social Security, veterans programs, net interest on the debt, and refundable tax credits. OMB is required to send a report to Congress at the end of a session with the relevant scorecards related to legislation affected by PAYGO. If the report shows a deficit on either scorecard, the president is required to sequester mandatory spending by an amount equal to the higher deficit of the two scorecards for the next fiscal year. But even in the case of the Statutory Pay-As-You-Go Act, Congress may waive the impact of laws that increase the deficit through mandatory spending increases or revenue reductions. Although FreedomWorks supported the Tax Cuts and Jobs Act because we believe in lower taxes, the bill reduced revenues over a ten-year budgetary period. In December 2017, Congress passed a short-term spending bill, H.R. 1370, that included a waiver from the Statutory Pay-As-You-Go Act. Section 5002 prohibited OMB from including the revenue reductions as a result of the Tax Cuts and Jobs Act in the scorecards. Of course, neither the PAYGO rule or the Statutory Pay-As-You-Go Act apply to baselines of entitlement programs like Medicare and Social Security. Those programs will continue to grow on autopilot. The current rule and the 2010 law apply only to new legislation passed and signed into law. Three Democrats voted against the rules package. Two of them -- Reps. Ro Khanna (D-Calif.) and Alexandria Ocasio-Cortez (D-N.Y.) -- voted against the rules specifically because of PAYGO, which, they claimed, tied Democrats’ hands on certain priority issues for the far-left, including completely government-run health insurance. Although Reps. Khanna and Ocasio-Cortez are wrong about healthcare and many other issues directly related to the budget, history says that the PAYGO doesn’t matter regardless of which party is in power. Multimedia game is the gift for those who are bored in the home when its free time spend http://tanktrouble.xyz so i have share a game in this game you have to connect with your friends easily and start to play the game. On behalf of our activist community, I urge you to contact your representative and him or her to cosponsor the Health Savings Account (HSA) Expansion Act, H.R. 603, if they haven’t already done so. Introduced by Rep. Mike Gallagher (R-Wis.), the HSA Expansion Act would increase contribution limits for health savings accounts (HSAs) and would, for the first time, allow consumers to pay insurance premiums from their HSAs.